The first three of my ‘Lizzie Witch‘ books are written and illustrated. The Lizzie Witch books are meant for sharing. They are books to read at bedtime and during that cosy ‘Tell me a story’ time that all children love. The smallest child will soon learn to join in with the many repetitions and responses and older children will find the books fun as first readers. 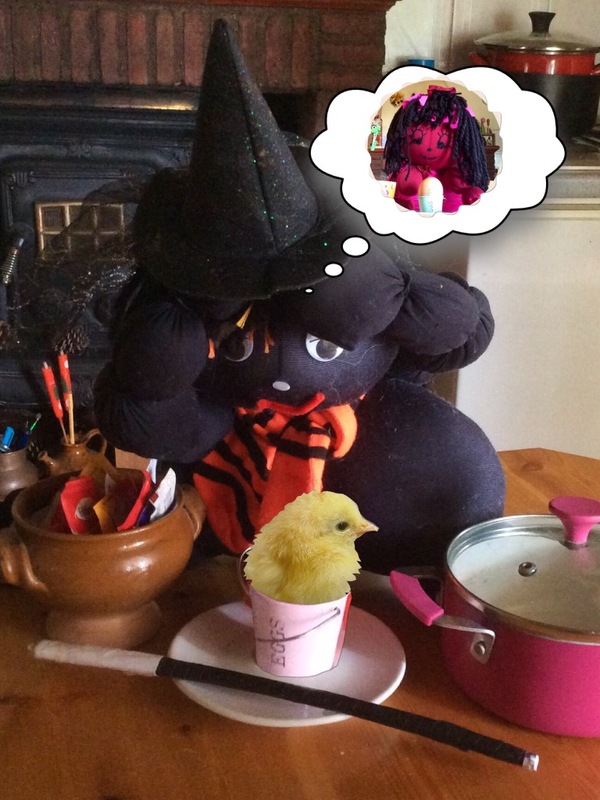 But the LIZZIE WITCH books also encourage creativity and develop a love of learning. Every book contains a link to a video giving simple instructions on how to make one of the characters or objects in the story and further enrichment and learning links can be found on the JUMBLE FUN channel and website. (Click on the links below to check these out). 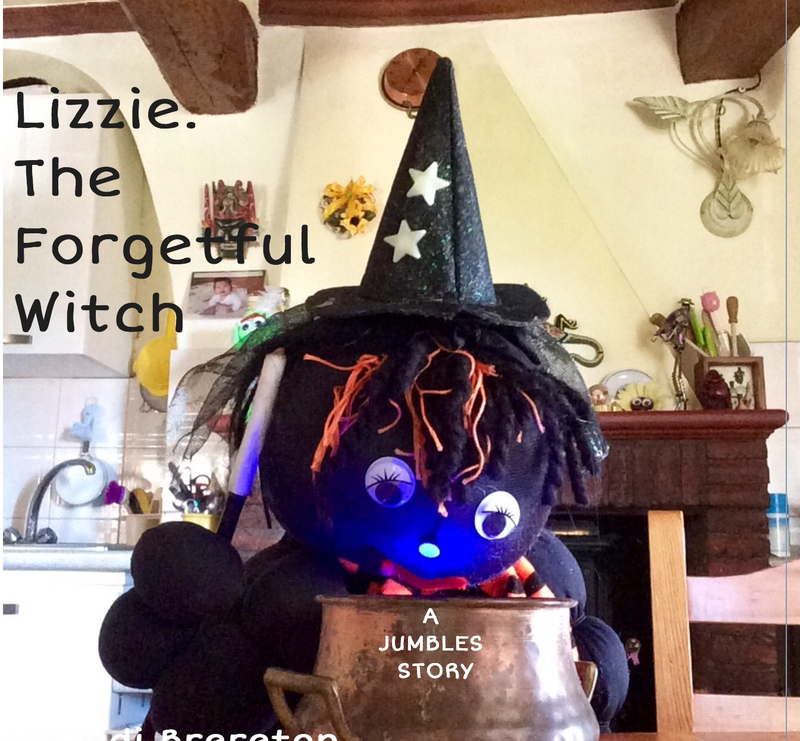 The first story, LIZZIE THE FORGETFUL WITCH introduces us to Lizzie and JUMBLE HOUSE (Yes! There really IS a Jumble House!) and three of her JUMBLE friends, Maisie, Freddie and Georgie. We follow this loveable witch during a typical chaotic day when good intentions and forgotten magic spells produce hilarious results. With lots of laughs and opportunities to interact it is a perfect book for toddlers and young children and one that adults will be happy to read over and over again! 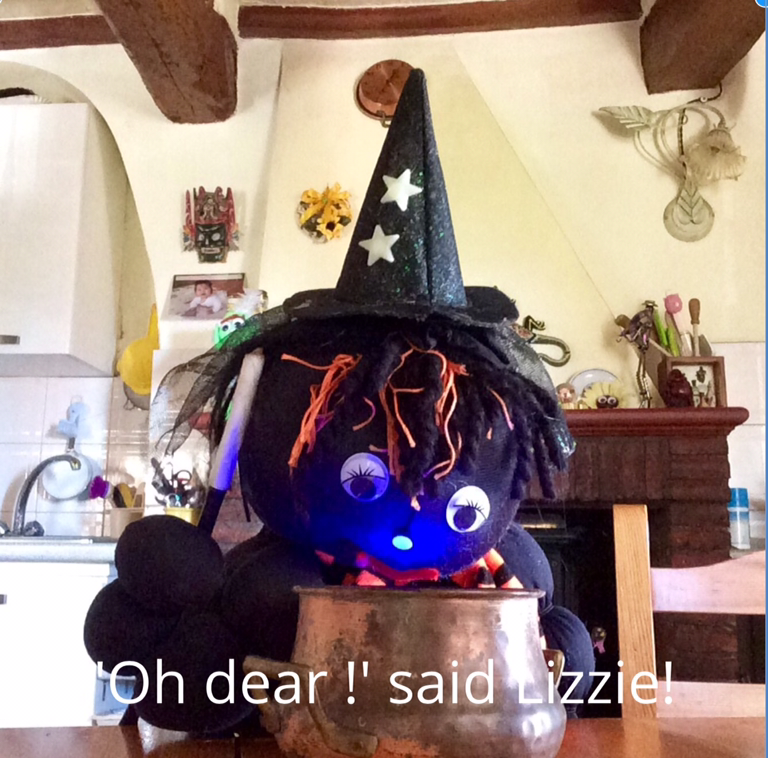 ​Children love their story book characters to ‘come alive’ and the characters in the LIZZIE WITCH books do just that! Above is a short clip showing Lizzie in action! There are over 100 videos on the JUMBLE FUN Channel covering a wide range of topics from art and craft to science and nature and healthy eating, recycling and conservation! 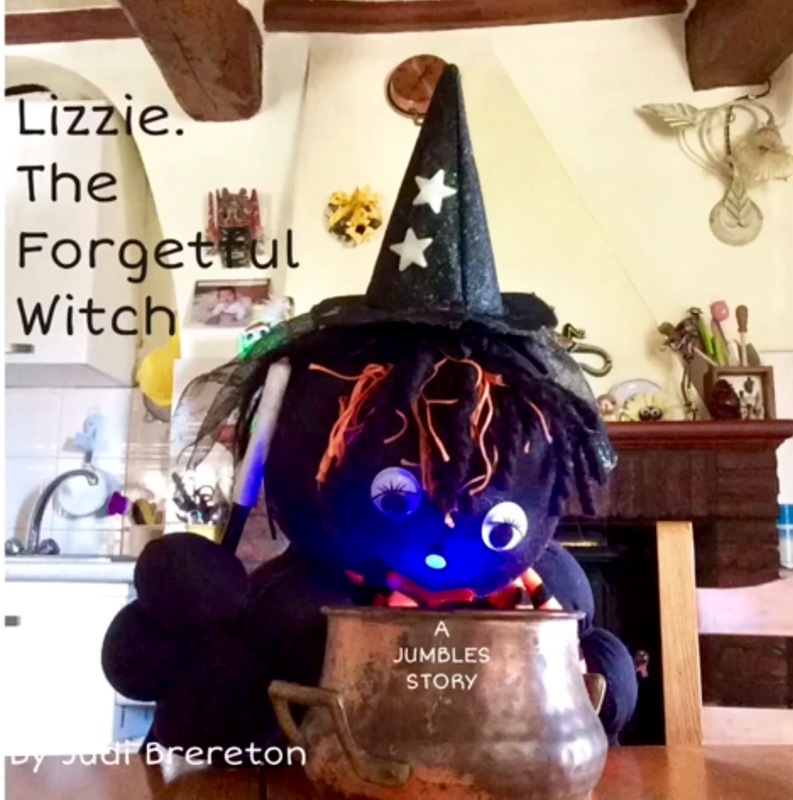 Lizzie Witch has her own playlist containing fun but informative videos which not only complement the books perfectly but also deliver basic scientific concepts and information about the world around us in a way which will captivate everyone and motivate children to find out more for themselves. The books are set in and around JUMBLE HOUSE and young readers will enjoy spotting familiar objects that they have seen in the videos or noticing missing ones that I have hidden ! The second and subsequent books have a simple science or nature theme with an art and craft extension at the end of the story. For example TUFTY THE CATERPILLAR tells the magical story of a caterpillar changing into a butterfly and has a link to video instructions on how to make a little ‘Tufty’ toy. Written in the same captivating style as LIZZIE THE FORGETFUL WITCH, it introduces children to the amazing world of insects and the wonder of metamorphosis. Lizzie is a very forgetful witch. She forgets birthdays. She forgets the time. 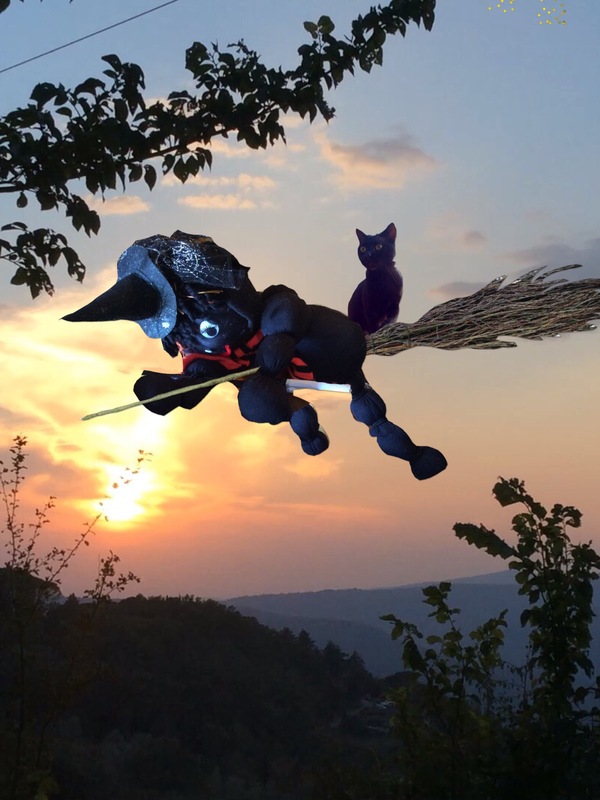 She even forgets her broomstick! But, worst of all Lizzie forgets her magic spells and that makes life very difficult for Lizzie and for everyone else. Yesterday was a particularly bad day. Lizzie woke up. Forgot where she was and fell out of bed. ‘I wonder whose birthday it is,’ said Lizzie. Lizzie wanted a boiled egg for breakfast. Could she remember where she kept the eggs? Could she remember the spell ? No. Of course not ! …….. and that’s when the fun starts!!!! The Jumbles are very special ! They are characters designed to GROW with their readers. Tinies will enjoy playing with the toys and sharing the stories. Older children will be inspired by my Sunday Challenge programmes to write their own stories and maybe feature JUMBLES they have designed and made themselves. 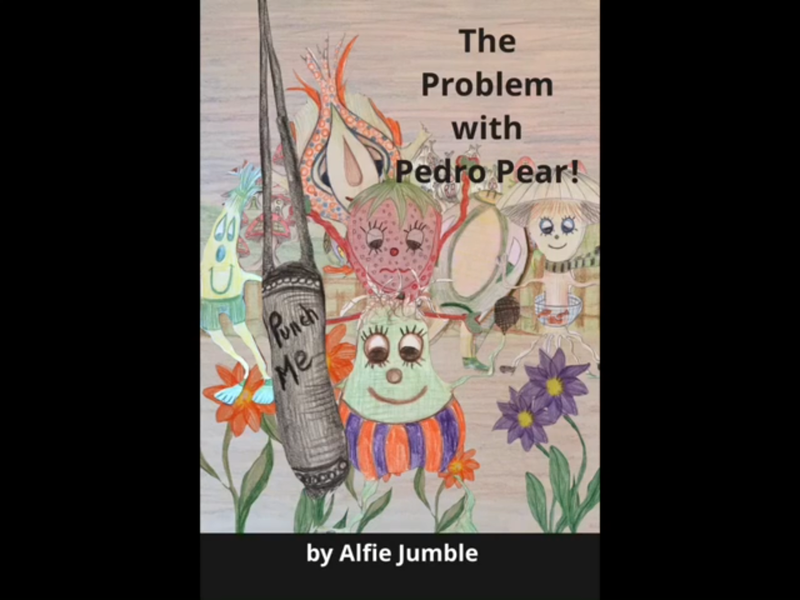 THE PROBLEM WITH PEDRO PEAR is one of the stories I wrote to help youngsters write, illustrate and publish their own stories during a SUNDAY CHALLENGE programme.